The Ballaleshwar Vinayak temple at Pali is located at a distance of about 160 km from Pune. 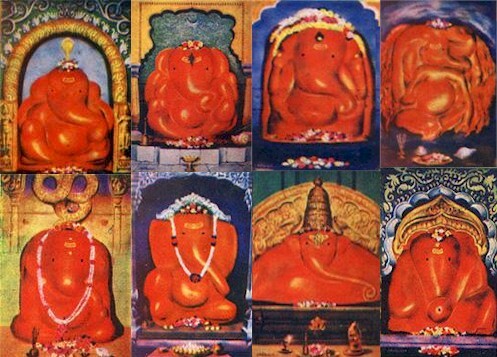 Palicha Shri Ballaleshwara is considered to be one of the Ashta Vinayak shrines of Maharashtra, celebrating eight instances of legends related to Ganesha. Legend has it that a in the days of yore, a merchant by name Kalyan had a pious young son by name Ballal, who was a fervent devotee of Vinayaka. Under his influence, Ballal's peers, resorted to worship and prayer, much to the chagrin of their fathers, who lodged a complaint against the lad Ballal with his father Kalyan. The enraged merchant beat up the boy and locked him up. The lad resorted to prayer again; legend has it that his prayers were rewarded as Ganapati appeared in front of him, relieved him of his distress and took up abode permanently at Pali with the name Ballal Vinayak. The Temple: An east facing image of Ganesha flanked by his consorts Siddhi and Riddhi is enshrined in this majestic fort like temple temple. The sun's rays fall on the image of Ganesha during Dakshinayana (July - December).